A business credit score reflects the ability of a business to pay back a loan. It is rated on a 0 to 100 scale. Your business credit score is calculated by using the statistical algorithm, designed to measure several traits of your company and financial history. 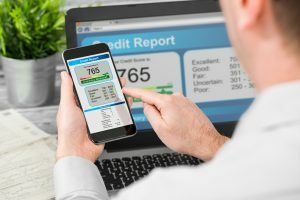 Some of the factors are similar to calculating a personal credit score, however, there are many factors that are different in building business credit scores. Of course, the first step in building a business credit score is to get a business credit card. You can also get a line of credit for your business. Be sure that you are getting a business credit card for your business financing, not a personal credit card for your individual finances. This is not only important for avoiding accounting mistakes. This is also essential in building credit scores for your business. Many small businesses have incomplete business credit accounts because their dealers and moneylenders don’t report costs to the business credit unions. If you want to make sure that your business credit score is high, then you must pay on time. A delay in payments ruins your business credit and a delay in payments from your company affects the cash flow in other businesses. This is the same as when your clients do not pay you on time and it badly affects the cash flow process of your small business. Much of your business rating depends on how you pay your suppliers and other contractors within an approved time frame. If you pay in advance or on the spot, this practice will make your business credit even better. Your suppliers and contractors will further put remarks like “prompt”, “pays early”, etc. The reason for such nice additional remarks is that every business needs a prompt cash flow for its running. Other companies might also be going through cash flow problems. Early payments or payments done on time significantly reduce cash flow problems. Your business credit score is used to measure the lending and credit risk linked to your company. A good business credit score shows that your company can manage debts and finances efficiently. Your business should utilize the credit score it has, but make sure not to overuse it. If you continue utilizing your business credit score for your business operations, it will be beneficial. You will keep building and utilizing some of your credit scores. It is just like taking a loan and paying it back promptly. It builds a trust in your business’ ability and financial stability. But, consuming all of the credit score or too much of the score means your company is not financially stable and is relying on the credit score it builds over time. If there are errors in your consumer credit report, there is a fixed process for disputing them. However, for business credit report errors, there is a different process everywhere. Every bureau has it’s own procedure for disputing business credit errors. You can submit disputes electronically. Using a business credit card or line of credit helps to build your business credit score. You have to build and keep improving your business credit score by making on-time payments, using the business credit card, and continue utilizing some of its scores to your benefit. All of these steps build a better and more trusted image of your business.